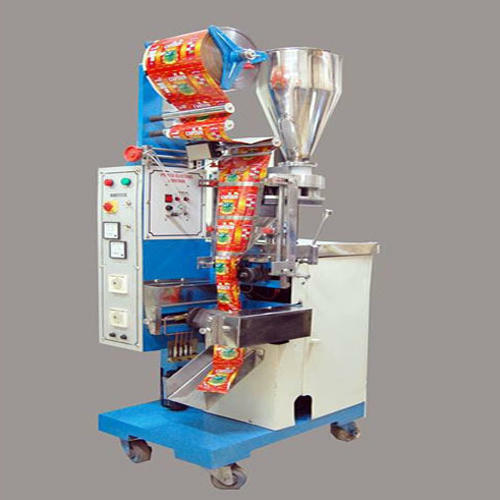 PVG-LCK type Automatic Pouch Packing Machine is a complete set of system which includes weighting and packing. It is used for flour and other powder packing. It can ensure the feeding speed and feeding accuracy. This is a hopper scale, the bag itself is a scale. It can overcome the buffer hopper problem, to ensure the measurement accuracy of the filling material. Using Chinese LCD controller to overcome the inverter noise sound interference on the impact of the controller, also it is convenient for users to operate the machine. This adopts automatic thread trimmer device, thus the operator does not need to step on the pedal, even though it has the manual switch.